Sickness found it’s way to our house this week, bummer. I’ve had to get creative with my busy 5 year old. I found some fun things online for him to do to keep busy-and I thought I’d share! I think kids older and younger will like these activities as well. 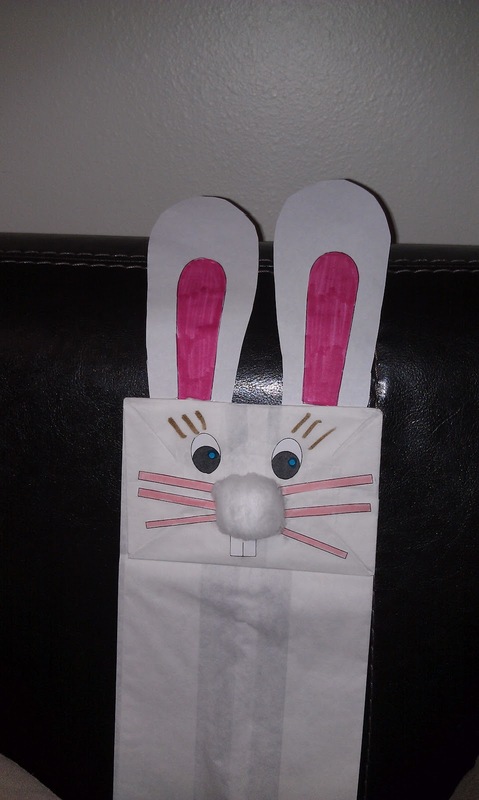 Print off the template to make this lunch sack bunny here. My little 5 year old colored the whole sack and put cotton balls on the back for the tail. It was really cute – and it entertained him for a while! 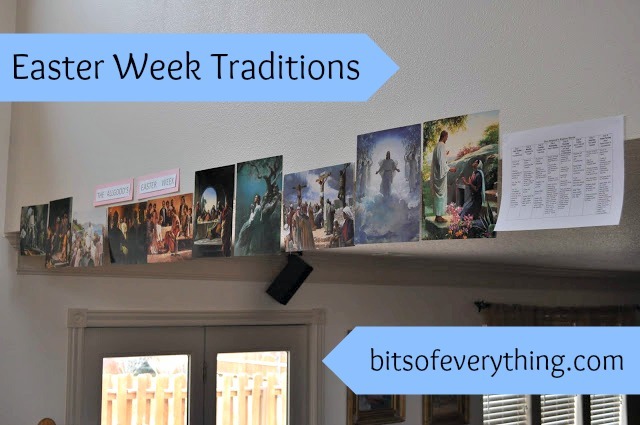 Here are some other Easter Activities I printed off. A simple Easter word search for little kids. I also loved all the fun things I found on this Martha Stewart website. I think these Jelly Bean carrots would be such a cute spring decoration. And last, but not least- this website is perfect for easter crafts, games, home decor and treats. 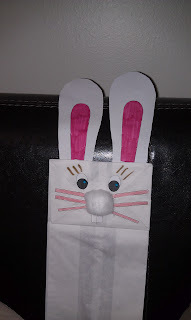 Did you want to make something cute for your kids, a spouse, a church group, or a friend for Easter, but then never got around to doing something? Well, I’m here to tell you….it isn’t too late!! 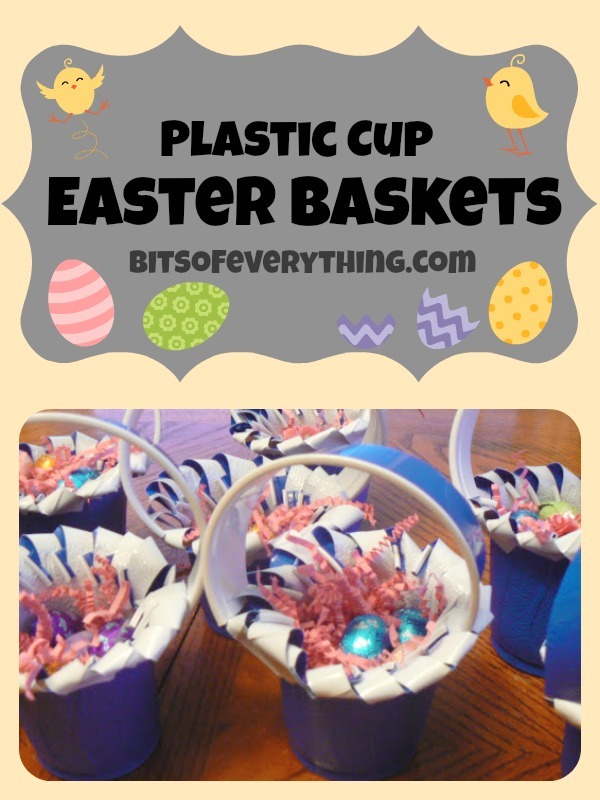 You can still make these cute plastic cup Easter Baskets! and whatever candy you have! My friend, Tonya, is hilarious, smart, cute and very FUN!! She came over tonight and taught me how to make these cute (super cheap) Easter baskets for our young women! First, you take one cup and make slits in it about 2 1/2 inches long. Second, you make another slit up by the rim of the cup so that you can “hook” it onto the next slat. It’s kinda hard to explain, but I hope you get the idea. The first few went easy but the last few were kind of tricky. Stay with it. Then…BAM!! You have these stinkin’ cute baskets. They look even cuter when you get the handle across the top. To make the handle, we took the second cup and cut a one inch wide piece off the top. and slit two of the opposite sides of the basket and slipped them into each other. Then we filled each one will some pink grass and some reeses eggs!! So go make something cute today for someone you love!